He is on an advisory body to the Queen, works as an environmental campaigner and is credited with integrating Canada‘s armed forces. But aside from all this, the ex-Canadian defence minister says UFOs are real, aliens have visited Earth and the U.S. government is covering up information about them. Paul Hellyer says he would probably get fired for his views if he was still Canada’s Minister of National Defense today, but is adamant he has seen UFOs himself. The 87-year-old, who is the longest-serving member of the Queen’s Privy Council for Canada, said he never discussed his views with top officials when he was in office. ‘This is the kind of thing that sometimes they don’t tell politicians about,’ he said. Mr Hellyer is presenting his views on UFOs this week at the International UFO Congress in Scottsdale, Arizona, and says he is ‘convinced’ of their existence. ‘And when we come to the realisation that we’re not any of those things, then I think we should be aware of it (and) learn to live with it,’ he told AOL News. Mr Hellyer claims to have seen a UFO with his wife when spending last Thanksgiving near Toronto, and they stared at the sky for 20 minutes watching it moving. He believes the U.S. has developed new forms of energy at secret ‘black operation’ units using alien technology and that a ‘shadow government’ is behind this activity. Apollo 14 astronaut Edgar Mitchell, founder of the Institute of Noetic Sciences research group, has described Mr Hellyer’s theory as an ‘important contribution’ to literature. ‘His experience in government, his interest in exo-politics and the issues of sustainability of civilization are significant areas of current discourse,’ he said. Retired Army Colonel John Alexander, also speaking at this week’s conference, believes UFOs are real but says there has never been a cover-up. Mr Hellyer added: ‘People keep talking about transparency and still not telling the truth, and this applies in various other areas as well as UFOs. He said he would ‘probably be open-mouthed about it’ and ‘might get fired for it’ if he talked about his opinions in office today. He said in 2005 that the U.S. military was preparing weapons to use against aliens, and they ‘could get us into an intergalactic war without us ever having any warning’. He said two years later that governments should be using alternatives to fossil fuels from alien technology obtained during alleged UFO crashes to fight climate change. Mr Hellyer was responsible in 1963 for creating the Canadian Armed Forces from the integration of the Royal Canadian army, navy and air force into one organisation. He has also campaigned over issues such as monetary reform, the Middle East and the environment. 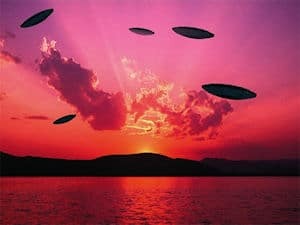 Other public figures who have stated UFOs are of extra-terrestrial origin include former USSR leader Mikhail Gorbachev, Professor Stephen Hawking and Ronald Reagan. When Will Be The UFO Disclosure?